Tracing the histories of literature, philosophy, art, and rhetorics. In a 2009 interview with Reuters Magazine, Kanye West says, “I am a proud non-reader of books. I like to get information from doing stuff like actually talking to people and living real life,” which he ironically shares while on a tour promoting his own book. This interview takes place five years after he dropped his wildly successful debut album titled The College Dropout. The anti-intellectual spirit that was creeping into American culture is now a pervasive force that is spreading like wildfire. In this case, a public figure wears the non-reading label proudly, but this attitude is not new. I’m in my eighth year teaching college-level reading and writing courses, and at the beginning of every semester, I ask students a few icebreaker-type questions in an effort to get to know them. In addition to asking where they are from and what they do for work, I ask them to name their favorite book. 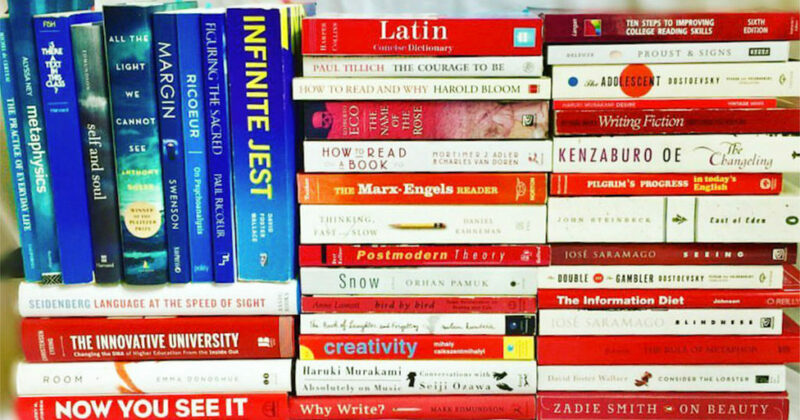 When I first began teaching, maybe one student each semester would reluctantly admit they have never read a book or they don’t like to read. This person wore it like a badge of honor the way Kanye West does — they feel proud they have been able to game the system and even get into college without having read a book. Each semester, more and more students tell me they don’t read, don’t like to read, and can’t remember the last book they read. This semester I had 21 students say they don’t like reading, they don’t enjoy reading, they don’t have time to read, or that they hardly read. I am a product of a mass-produced education, and it is very likely that you are, too. The education system is not the problem – it’s the symptom. Much like Kanye West, I’ve helped perpetuate the anti-intellectual spirit. While I’ve always been passionate about learning, and even reading, I thought the institution was the enemy and academia was a game. While this posture toward education needs corrected, this MEmorial explores the trauma that undergirds the fear of intelligence that characterizes the anti-intellectual spirit that pervades our culture both within the academic institution and without. I used to treat books as the magic tool that will save our culture instead of what Gregory Ulmer calls the wishing why in his 2005 book, Electronic Monuments. The wishing why is the art of wonder, the unending curiosity, and the power of attention. Our quest is to learn how to harness our intrinsic and extrinsic motivation to proliferate the wishing why. 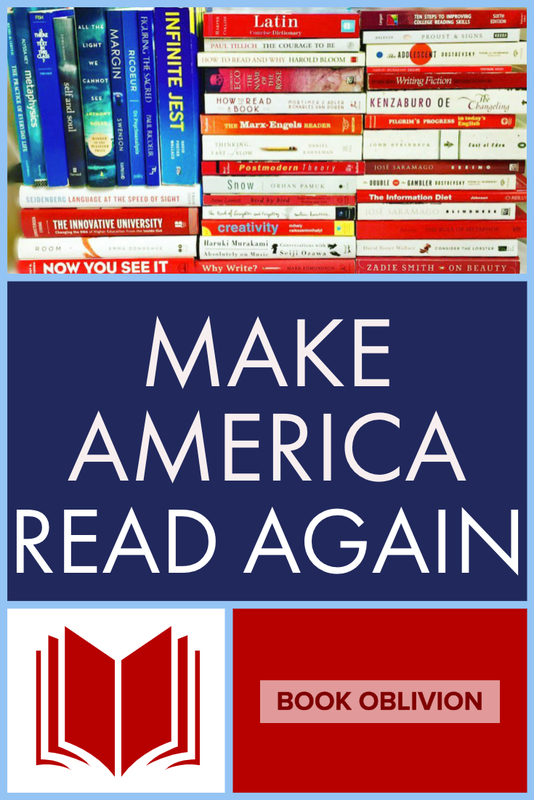 We are going to explore what it means to rescue books from oblivion and return them to the center of culture and conversation by asking some tough questions: how do we change the way Americans experience reading? Where does the anti-intellectual spirit come from? How do we teach a love of learning in our contemporary moment? This is a very interesting article. I am not American so I can’t say whether I agree with your observations or not. From what I learned about American culture, American people are very action oriented. This is supposed to come from the history of the country. When the first European settlers arrived in America, they had to work very hard to survive and did no have much time for intellectual pursuits. In France, where I grew up, intellectualism is valued even if there are also many people who do not read much including succesful persons. The former French president Nicolas Sarkozy was for instance often criticized for being anti-intellectual after a scornful comment about 17th century novel “The princess of Cleves”. After that, he desperately tried to look like an intellectual by posting all the books he was currently reading on his facebook page. With little success though. Book Oblivion is an Amazon Associate. When you click any Amazon link on this site and buy a book, I earn a small percentage of your purchase. All proceeds help support Book Oblivion and are sincerely appreciated.